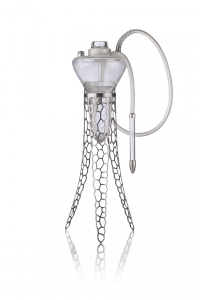 The exceptional prestige and permanent value of Meduse shisha pipes are guaranteed by the hand-made Bohemian glass which has been highly regarded for centuries thanks to its unique properties. Each single shisha pipe is a unique original equipped with a certificate of authenticity and an engraved serial number to protect the product. 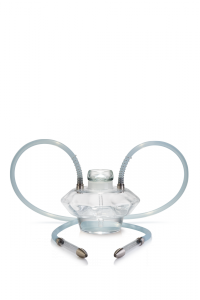 All the Meduse shisha pipes can be equipped with a light module. By using a light module you will transform the shisha pipe into an impressive luminous object inciting a pleasant and captivating atmosphere. The head for tobacco is made of borosilicate glass which excels in high temperature resistance and taste purity – there are no taste interferences. The transparency of the head gives you a perfect control over tobacco burning throughout smoking. Special system of upper and lower stainless steel filters has been developed for the placement of tobacco and charcoal instead of using a tin foil. These stainless steel filters are healthier, easier to handle and they match perfectly the whole design of the pipe. Hoses are made of the highest quality food grade silicone. This material is highly smell-residue resistant, you can smoke various flavors without any trace of the preceding one. The diameter of the hoses and all the openings in the pipe system guarantees a perfect draught and dense smoke. 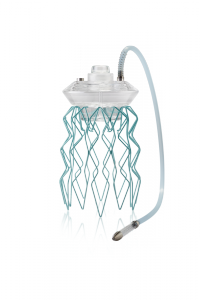 High quality of processing, thick durable glass, comfortable handling, easy cleaning and maintenance of all our products is commonplace – all the materials the Meduse pipes are manufactured of are water-resistant, stainless and easy to clean. The production philosophy is based on the innovative integration of traditional handicrafts, particularly blacksmithery and hand-made Bohemian Glass combined with the latest hi-tech manufacturing technologies and techniques. The exclusiveness of our collections is emphasized by its production from noble materials and its precise workmanship. With our approach to design, material and treatment we have completely changed the global view of traditional water pipe. The Bohemian glass is one of the most significant products of the Czech Republic and nowadays it is known worldwide. The quality of the Bohemian glass is at the highest level thanks to the unbroken tradition of the seven centuries of the craft that has created an art of perfection. 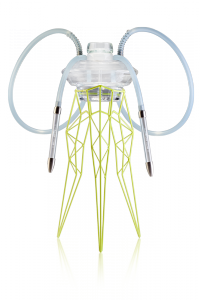 Each Meduse glass corpus requires hours of handcrafted processing by experienced and skillful glassmakers. Each single Meduse shisha pipe is born in fire and shaped by human breath. Making a piece of glass is an act of teamwork, with each worker dependent on the others. Timing and precision during the glass mold blowing are essential. The Bohemian glass used for the manufacture of the Meduse pipes excels in hardness and brightness and adds uniqueness and exclusivity. 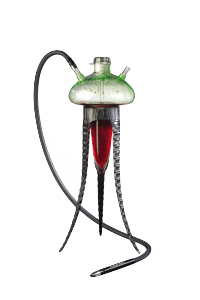 This is a real art, not just an ordinary laboratory glass used by many other shisha pipe producers. The Bohemian glass products are owned by significant celebrities all over the world for example royal families, presidents, film and music stars. Through revolutionary design, uncompromising quality of craftsmanship and a number of technical innovations, we carry the phenomenon of shisha culture into a brand new dimension. The collection comprises of three models, each of which is designed with an individual approach and specific design purpose: from the expressive and rustic Brute, the stately and elegant Noble, to the delicate and minimalist Mirage. The character of Mirage model is further enhanced by illumination from the interactive wireless Chameleon light module with a remote controller and optional light effects reacting to music. Brute model and Noble are equipped with color-changing LED light strip. All models of the Craft collection are suitable for serving our special fruit cocktails in the glass corpus. The futuristic design of the exclusive Sepia collection - comprised of three models - is achieved by the combination of traditional craftsmanship alongside the elegance of high quality stainless steel, which is carefully shaped by cutting edge precision production methods. All the Sepia shisha glass corpus stands are made of gracefully cut stainless steel resistant to changes in time, hoses are made of high-quality food grade silicone imprinted with a logo and the glass corpuses, hand-made of Bohemian glass, are available in two different designs: Coralica and corpuses are decorated by stylish sand blasting while Cascada has beautiful facets on the glass corpus. All models can be equipped with a rechargeable color-changing light module by customer’s request. All models of the Sepia collection are suitable for serving our special fruit cocktails in the glass corpus. 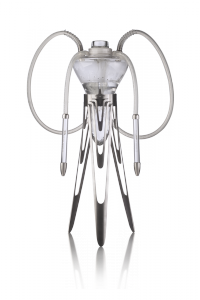 The Nautila is colorful and flexible but still luxury line of Meduse shisha pipes. Wire lattice design of Aurita and Trigona models, available in three different colors - aqua, red and lime, differs not only from the traditional shape of water pipes, but also from the rest of Meduse portfolio. 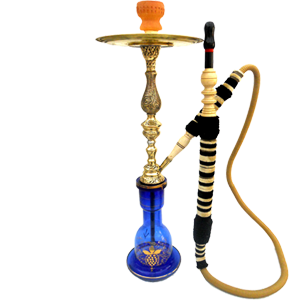 Moreover difference between sizes of each model provides a wide range of placement options and offer a chance to bring shisha pipe into accord with interior. At customer’s request all models can be equipped with rechargeable wireless UV/Laser Star light module which emits a dense stream of red laser rays colored by UV LED radiation resembling a sky full of stars or a wireless rechargeable RGB light module which changes colors throughout the whole color spectrum. Fumo’s unconventional modern design strives to be simple and functional. There are no unnecessary parts in Fumo’s products as they want to achieve function with the most minimalistic design possible. They use base durable materials to provide the highest quality products. They are constantly evolving and improving their product lines and work to make each product iteration better than the last. 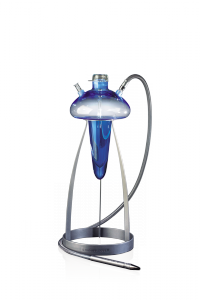 The Fumo® Jar Trinity, is primary 3 hose hookah. Fumo use hand blown heavy laboratory grade Schott glass tubing, surgical grade stainless steel hose fittings, and specially formulated food/pharmaceutical grade taste free hosing. This combination of base scientific materials and craftsmanship delivers to you the purest smoke possible by preventing any material contaminates from entering the smoke. There are no rubber parts or grommets or non-permanent parts used in product construction. All of Fumo products are designed for function, durability and ease of use. 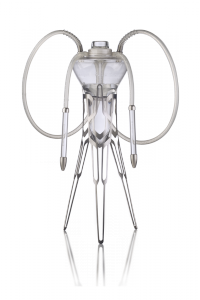 The JAR Trinity hookah can accommodate up to 3 hoses and you can choose from any of our 2 hose types. 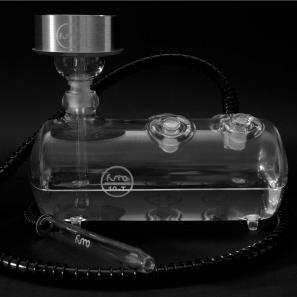 The Fumo® TANK, is primary 4 hose hookah. Fumo’s patented design is perfect for large groups of users. 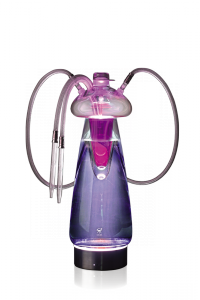 The designed was inspired by the thought that why does a hookah need to look like a hookah? They use hand blown laboratory grade Schott glass tubing, surgical grade stainless steel hose fittings, and specially formulated food/pharmaceutical grade taste free hosing. This combination of base scientific materials and craftsmanship delivers to you the purest smoke possible by preventing any material contaminates from entering the smoke. There are no rubber parts or grommets or non-permanent parts used in product construction. All of Fumo’s products are designed for function, durability and ease of use. 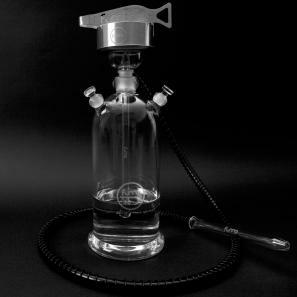 The TANK hookah can accommodate up to 4 hoses and you can choose from any of our 2 hose types. 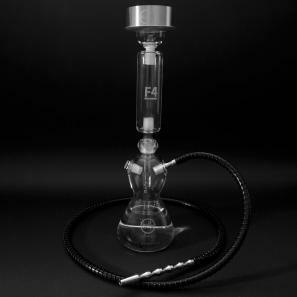 The Fumo® F4 hookah, is tribute to the traditional hookah. Fumo owe everything to the hookahs that have come before so the F4 is our attempt to honor that tradition. Fumo use hand blown laboratory grade Schott glass tubing, surgical grade stainless steel hose fittings, and specially formulated food/pharmaceutical grade taste free hosing. This combination of base scientific materials and craftsmanship delivers to you the purest smoke possible by preventing any material contaminates from entering the smoke. There are no rubber parts or grommets or non-permanent parts used in product construction. All of Fumo products are designed for function, durability and ease of use. 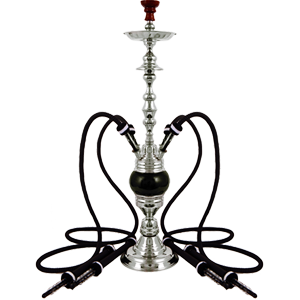 The F4 hookah can accommodate up to 2 hoses and you can choose either of our 2 hose types. It is a traditional smoking tool. 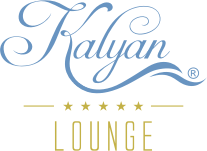 Kalian, which is a mechanism ensuring the user inhaling smoke filtered through water by a hose, expresses more than a simple device with the way of smoking and forms of manner using tradition formed within hundreds of years and become a part of eastern culture. Arabs believe that mankind discovered “Shisha” before Christ. People noticed pleasure of tobacco leaves that they burned for worshipping, and since then it has been inseparable part of people’s life. Tobacco has been shaped by various civilizations throughout history. It became a pipe, cigar, cigarette, it was chewed in the mouth. However, in any shape did not become integrated as much as with tobacco “kalian”.